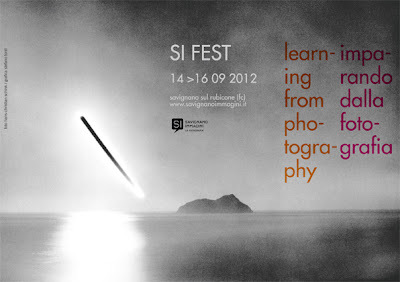 SI Fest will have its 21st edition on September 14-16, with many excellent exhibitions, workshops, lectures and portfolio reviews. Like last year, the reviews will be for both portfolios and book dummies. I will be among the reviewers in both sessions, so please come and say hi if you're around. - Life after Zero Hour, a collaboration between Massimo Mastrorillo and Donald Weber, a personal investigation about Japan after the 2011 tsunami. - Hans Christian Schink's 1h, with his series of solarized sun paths across the world. And that was just a starter, come to Savignano and see the rest for yourself!